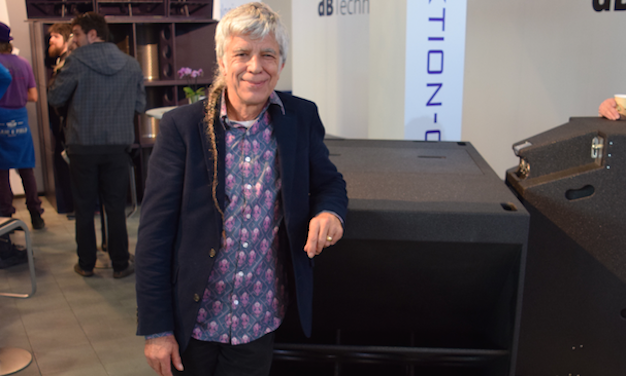 Funktion-One enjoyed one of its most successful tradeshows to date at Prolight + Sound Frankfurt 2016. The show, which was held at Frankfurt Messe on 5-8 April, saw four new launches for the British loudspeaker manufacturer and two awards. The much anticipated launch of Vero took centre stage and formed the centrepiece of Tuesday’s press conference, which packed out the Funktion-One stand. Find out more about Vero here. Other additions include the F132 (32in) bass enclosure, the Evo 7 Touring loudspeaker and the FF6.2 DJ mixer. The new products and the stand generally attracted plenty of interest and lots of enquiries. A successful week was topped off with the news of two Best of Show Awards from Pro Sound News Europe (PSNE) and Audio Media International (AMI). Vero picked up PSNE’s Best of Show and the F132 was awarded with AMI’s Best of Show.